Kathleen Neves is creating Videos and Blog Posts about my PCT Thru-Hike in 2019! In April 2018, I left Campo, California and walked from Mexico to Canada, along the Pacific Crest Trail, in over five months. During that time, I wrote about my experiences of hiking the trail on my blog, Kathleen Loves Yoga and posted a few photos on Instagram. I hiked. I laughed. I cried. I fell. I rolled my ankle. I got dirty. I went days without having a shower or using a flush toilet. I conquered fears, some I never even knew I had. I met the most incredible people on trail. I learned a lot about myself. I re-evaluated my life priorities. I fell in love with the trail. My life was forever changed. Hiking the PCT has taught me many lessons. I learned that my feet can take me anywhere I want to go. I learned how to tap into my personal power and realized I really could do anything I put my mind to. I learned how to let go of things and be happy living with less. I fell in love with living out of my pack. I learned how to appreciate the simple things. My faith in humanity was restored and I realized there are plenty of good people out there who want to help other people. 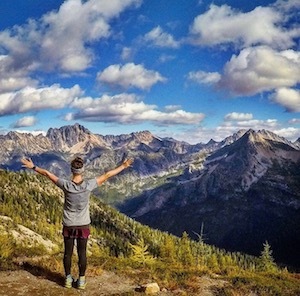 It's for all of these reasons mentioned above, I've decided to thru-hike the Pacific Crest Trail AGAIN in 2019 and I'd love to take you all with me. Become my patron for as little as $1 a month and get access to exclusive blog posts you won't find anywhere else online. My patrons will also have the opportunity to participate in monthly live chats with me and receive exclusive, never before seen, behind-the-scenes videos from my PCT 2018 hike showing trail life and blooper reels. New videos are uploaded to my Patreon account each week! Official patron status. This means you'll get access to my patron-only feed, a special Thank You video/email, early viewings of all my new YouTube videos AND my undying gratitude and loyalty. 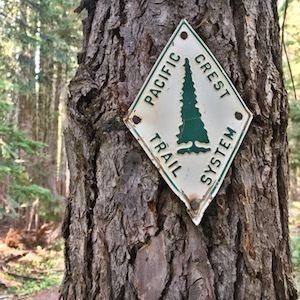 The Pacific Crest Trail, otherwise known as the PCT spans over 2,652 miles from the Southern Terminus in Campo, California all the way up to Canada in Manning Park, just 8.4 miles past the Canadian border. I’ll be walking the entire length of California, Oregon and Washington in over five months starting in April 2019. Here’s your chance to be my very own trail angel and play a HUGE part in my PCT thru-hike adventure without having to take a single step. Your donation will help make my hike possible and go towards things I’ll need along the trail like showers, loads of laundry, meals, gear I need to replace from last year, town stops, food resupplies and the occasional stay in a hotel room where I’ll be able to sleep in a warm, clean bed. Check out the different tiers and choose your level of support for my next epic adventure along the Pacific Crest Trail. Thank you for making my 2019 thru-hike along the PCT possible. I couldn’t do it without you.